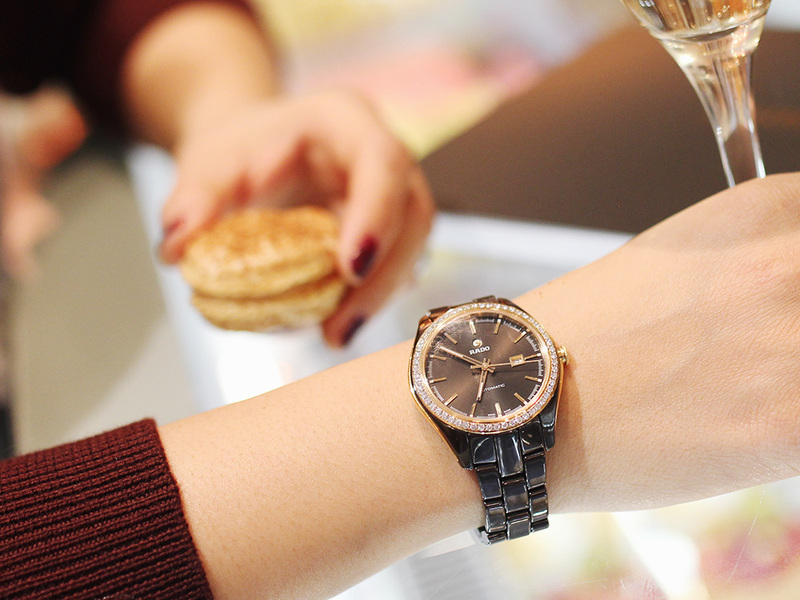 Earlier this week, James and I met up with Rado, a Swiss watch brand, at the François Payard Patisserie in the Upper East Side (I brought him along because he’s a sucker for a well-built watch and macarons, obviously). Rado is a new-to-me brand, but has been in the game for over 50 years. They recently celebrated the launch of their new chocolate brown ceramic timepieces and I’ll just say this: I wish you could feel the watches and taste the pastries in person, because both are absolutely delicious! 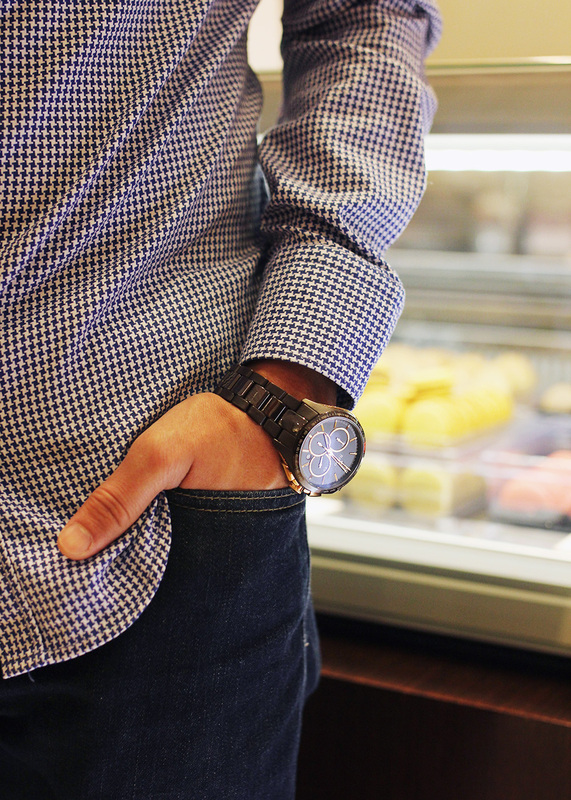 What surprised me the most was how lightweight the watches felt – even in the men’s styles! Rado watches are made of a high-tech ceramic, which means it’s not only light and easy to wear, but scratch resistant and super durable. Win, win, win. I might have to steal the watch that James is wearing below. Have you heard of Rado before? They’re a bit of a splurge, but a girl/guy can dream, right? I would love to hear your thoughts on the brand or your mutual love for watches, chocolates and sweets in the comments section! Happy Friday everyone! Thank you Rado for sponsoring this post! They look so beautiful, real statement on your hand! I have not heard of Rado before. The pastries look delicious! Have a great weekend! I haven’t heard of the brand before, but they sure do look nice! How beautiful is this watch! Wow. I love the simplicity! I haven’t heard of this brand before, your watch is beautiful! Whoa! These watches are gorg! 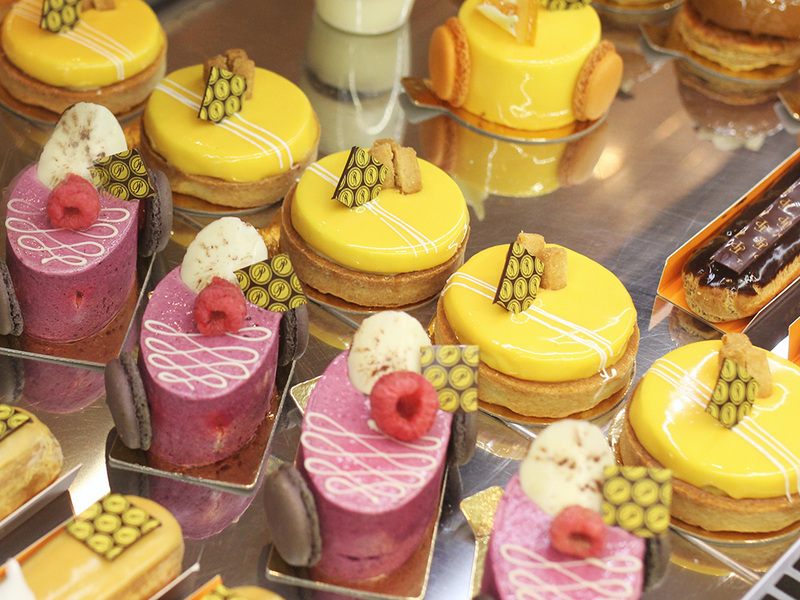 And those pastries look so delicious! Thanks for sharing!! My husband was actually just talking about these watches. They’re so cute, and I’m sure fantastic quality. I’m loving the black ones you chose! Your photos are gorgeous!!!!!! Great watches too!! happy weekend gorgs! These watches are gorgeous! I love the dark colors. 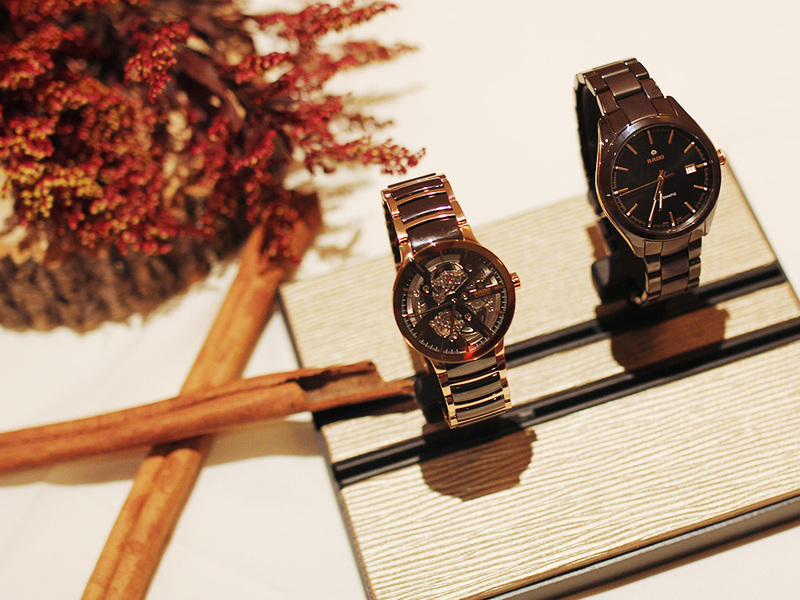 The watches are beautiful, and those desserts look delicious! Such gorgeous pieces! Perfect gift idea. love the watches and the photos! nice! I’ve never heard of Rado before, but I asked my dad about it and he said he had a watch from them! I’m a sucker for luxury watches, even though I usually use my phone to tell time, haha. 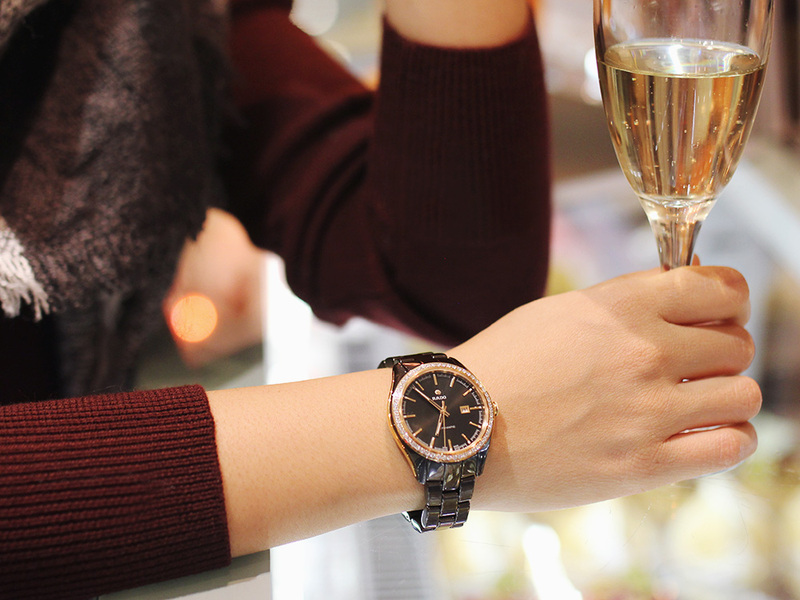 Yes, I agree a luxury timepiece, bubble and pastries are great companions! Love the checked shirt, too. Now I am hungry! 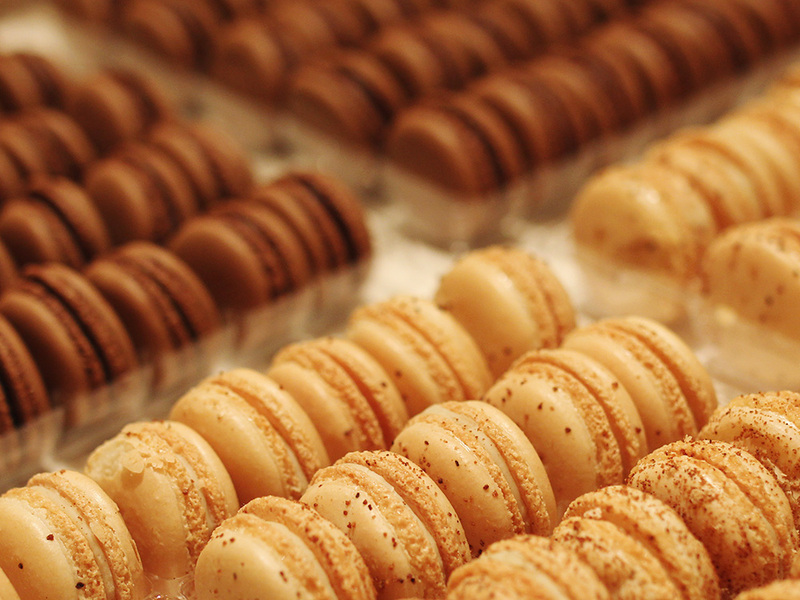 Fancy watches + macarons sounds like my idea of a perfect weekend too!